Justice Loya's paternal uncle, Mr Srinivas Loya, said he was aware that Justice Loya faced immense pressure while hearing the Sohrabuddin trial. The village of Gategaon, in Maharashtra's Latur district, is the ancestral home of Justice BH Loya, who was hearing the Sohrabuddin trial, in which BJP President Amit Shah was the main accused. Here, we are told that most close members of the family - his father, sisters - have gone to Pune, for the wedding of Justice Loya's daughter. Those that remain are reluctant to speak since The Caravan story broke. Finally, Justice Loya's paternal uncle, Srinivas Loya, spoke to NDTV. He said he was aware that Justice Loya faced immense pressure while hearing the Sohrabuddin trial. Srinivas Loya says, "My family was told that he (Justice Loya) was under a lot of pressure. And that he was going to resign as he had already put up the application to get transferred." In Nagpur, where Judge Loya died on the December 1, 2014 after attending a colleague's daughter's wedding, police told us that they have begun informal inquiries into the death after The Caravan story broke. But in meetings with those that were witness to Justice Loya's final hours, many sought to challenge questions raised by the family. The Caravan article questions why Justice Loya was taken to hospital in an autorickshaw from Ravi Bhawan, the government guest house where he was staying. At Ravi Bhawan, staff members who were present at the time and wished to remain unnamed told NDTV that there are no designated drivers in Ravi Bhawan, and Justice Loya did not appear to have a car specially assigned to him for the trip either. The Caravan article also quotes the family's doubt as to why Justice Loya was first taken to a local hospital - Dr Dande Hospital, said to be ill equipped, with a non-functioning ECG machine. 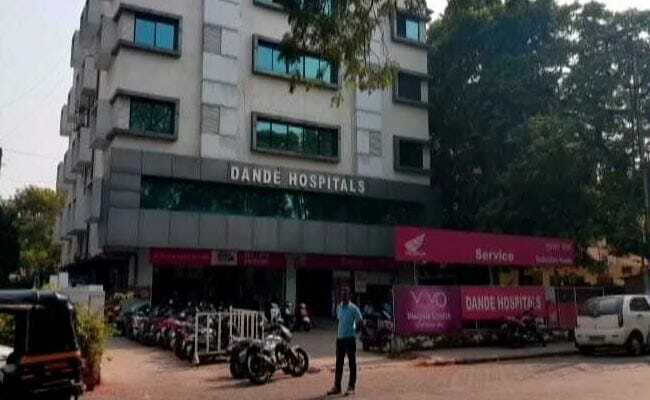 But Dr PG Dande, the owner of the hospital told NDTV that Justice Loya was very much alive when he came to the hospital, along with some judges. "He climbed the small flight of stairs himself and complained of excruciating pain in his chest," Dr Dande said. He said the hospital did have a functional ECG machine which showed a tall T spike (indicating a severe heart attack) and so Justice Loya was immediately referred to Meditrina, a specialty heart hospital. Dande is an orthopaedic hospital, but much closer to the guest house. NDTV was shown the ECG report by Nagpur police. Justice Loya, said Dr Dande, was declared dead on arrival at Meditrina hospital. The Loya family also raised doubts over who ordered the post mortem of Justice Loya, and the identity of the person who signed off on it. Justice Loya's uncle told NDTV, "We didn't know anything, we were just informed the post-mortem had been conducted. The body was then put into a box and sent from Nagpur." In Nagpur, NDTV met the mystery relative who signed Justice Loya's post mortem report, Dr Prashant Rathi, an orthopaedic surgeon. He told NDTV that his uncle in Aurangabad is a cousin of Justice Loya. He added, "my uncle informed me about the death of Justice Loya at around 6 am and then I immediately reached to help family in the time of grief." The Dean of Nagpur's Government College Hospital, which performed the post-mortem said that the procedure had been referred by Meditrina Hospital. In cases of abrupt death of a person with no history of heart ailment, it is not uncommon to perform a post-mortem he said, just to rule out any doubts. The family had also alleged that the body arrived unaccompanied from Nagpur to Latur. 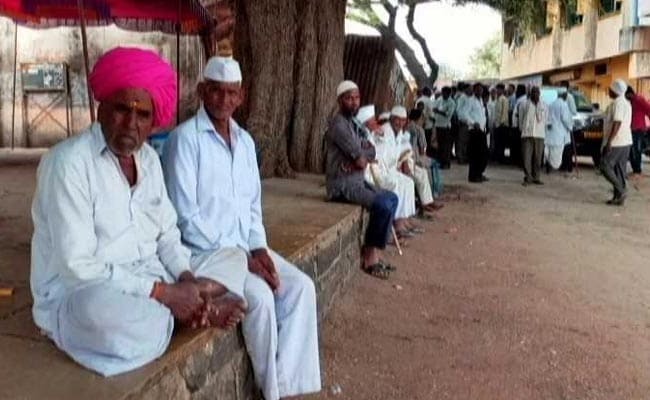 "We kept waiting here (Latur) for the dead body to arrive and when the dead body arrived it was in an ambulance with the driver and nobody else," said Justice Loya's uncle. 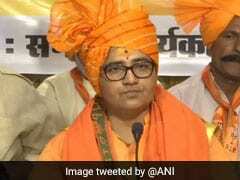 But Shivaji Bhokde the joint commissioner of Nagpur police told NDTV that two judiciary officials, and a police constable were inside the ambulance with the driver on the 10-and-a-half hour drive to Latur. Justice Loya's family also alleged seeing blood stains on Justice Loya's shirt's collar. Dr Prashant Rathi, the relative, told NDTV that he did not see the dead body as it was wrapped in a sheet and handed over to him. Separately, Dr PG Dande mentioned that it was possible that the blood stains were from the post mortem, and could have occurred when the body was being transported to Latur, a 10-and-a-half hour drive from Nagpur. Medical experts have challenged this, saying post-mortems do not lead to leakage of blood. Anuradha Biyani, Justice Loya's sister had also pointed out in The Caravan article that an "RSS man" named Ishwar Baheti, based in Latur was coordinating the whole exercise of getting Justice Loya's body to Latur. She said no one knew how Baheti got to know about the death. In Latur, however, friends and relatives including Srinivas Loya, the uncle of Justice Loya and Balwant Jadhav, a lawyer friend who is planning to move the court asking for a probe into the death of Justice Loya, described Baheti as a close family friend of the late judge. 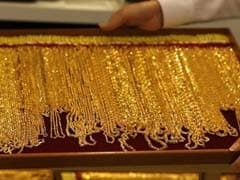 Baheti owns a medical shop in the area and is said to have links to all political organisations. The Latur Bar Association has asked for a probe into Judge Loya's death. It's the only way to arrive at answers to the forest of questions surrounding the case, they said.